Username Password I forgot my login. 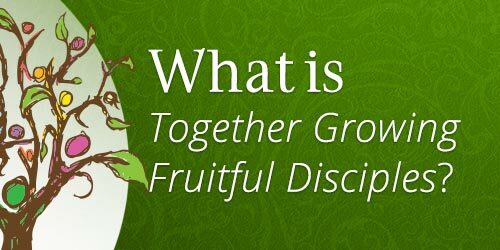 What is Together Growing Fruitful Disciples? Thinking more clearly and deeply about our journey as disciples. Need ideas on how to plan to grow as a Christian? Select a level, then use ideas listed as a springboard for action. Brainstorm more ways to grow in each and add them to this list. Pray. Choose. Act. Disciples grow in relationship with God, self and others. Connecting with God: I am deepening my relationship with God. Share your day with God. Pray while chewing, brushing, crying, driving, walking - God is everywhere. Give yourself to God every morning. Then stay tuned to His leading throughout the day. Worship God together with other Christians eg. at church on Sabbaths; at small group or youth meetings; while camping etc. Reflect quietly on what God is doing in your life and around you at the end of each day. Then praise Him for His love and faithfulness. Learn more about God, yourself and others through volunteer service. Look for evidence of God working through your life and others while serving. Connecting with self: I am discovering who I am in relationship to Christ. Breathe deep and say, "I AM a child of the King of the Universe, and I'm not ashamed to live for Him today." Remind yourself regularly that you're so important to God that He's eager to be your forever friend! Learn more about how God has provided everything needed to save you and keep you safe forever. Submit your will to God as you wake each day. Ask Him to guide every choice, claiming Philippians 4:13: "I can do all things through Christ who strengthens me." Ask the Holy Spirit to help you understand God's plan for your life. Then watch for clues as you follow Jesus through your day, and pay attention to observations friends and adults share about your gifts and where they see God leading in your life. Connecting with family: I am developing Christ-centered family relationships. Help a family member without being asked. Volunteer to do a chore no-one likes to do, just because you're thankful God loves you the way you are. Ask the Holy Spirit to help you admit when you're wrong at home. Ask forgiveness and accept consequences humbly. Be welcoming and helpful to guests that come to your family home. Learn how to be a peacemaker to help resolve conflicts between family members if/when they occur. Connecting with church: I am developing Christ-like relationships with other Christians in my church. Join a youth group/club that helps young Christians grow their faith. Invite friends to attend church or worship meetings at your Christian school with you. Talk with friends about spiritual topics. Seek to learn together - read and pray about questions you don't understand, then invite a Christian friend, parent or teacher to help you. Learn about God's work in your church around the world, by reading articles, listening to reports, watching videos, and asking questions. Respond to what you learn, as God prompts you and your Christian friends. Make friends with people others seem to ignore or make fun of in your church family. Treat church members of all ages with kindness and respect, as brothers and sisters in God's family. Connecting with others: I am developing Christ-like relationships with those who are not part of my church. Be respectful of people whose beliefs differ from yours. Make friends whenever possible, just because God loves us all the same. Offer to help a neighbor without expecting payment. Be a trustworthy friend. Be faithful in promises, no matter how small, or to whom they are made. Be honest in everything: what you say about others and yourself, buying and selling, during tests at school, etc. Disciples grow through studying and obeying God’s Word. Understanding spiritual growth: I am learning that Christ calls me to be His disciple. Ask God to help you obey what the Bible teaches, even when its difficult. Pray for the Holy Spirit to help you follow Jesus faithfully. Recommit your life to God each morning. Before making choices, pray. Then wait and listen for God's leading. Understanding the nature of God: I am learning that God is the source of life. Read your Bible to learn more about God the Father, Son and Holy Spirit. Invite a parent, teacher or friend to discuss questions and discoveries about the Trinity. Explore nature to understand the miracle and wonder of God's creation. Or watch a nature video presentation, visit a park or zoo, or study nature publications or art forms to keep learning about God as Creator and Sustainer. Examine evidence of God as the source of life with a Christian mentor or group. Seek answers to questions such as Who am I? Why am I here? Understanding sin and suffering: I am learning about the human fall from God’s original plan and its consequences. With a mature Christian, explore the reasons why Jesus had to die. Spend time alone reflecting on what Jesus' death means to you. Read the Bible seeking examples of God's grace. Share what you find by journaling, sketching/drawing/painting/cartooning, emailing or chatting. Debate this statement: Because the natural world no longer reflects the perfection in which God created it, the Bible is needed to interpret the natural world as an expression of the character of God. Or ask a creation scientist to answer questions about this topic. Understanding redemption: I am learning that God has provided everything needed to save me from sin. Be prepared to explain God's plan to save us to a friend who is not a Christian. Some ideas to get started: sketch a diagram, draw a series of comics/pictures, make a powerpoint presentation or video, develop a skit, choose/compose a song, etc. Develop a treasure hunt that helps young kids understand the steps to accepting Jesus as Savior. Then do it with kids you know, or share it with someone who works with kids. Chain reference your Bible to be prepared to explain God's plan to save us from sin. Reflect on the meaning of symbols in a Communion service. Ask a mature Christian questions about what the Lord's Supper and foot washing ceremonies means to them personally. Learn the ABCs of God's loving plan to save you: Accept God's free gift of grace joyfully - come as you are. Believe Jesus died to save you from your sins which separate you from God. 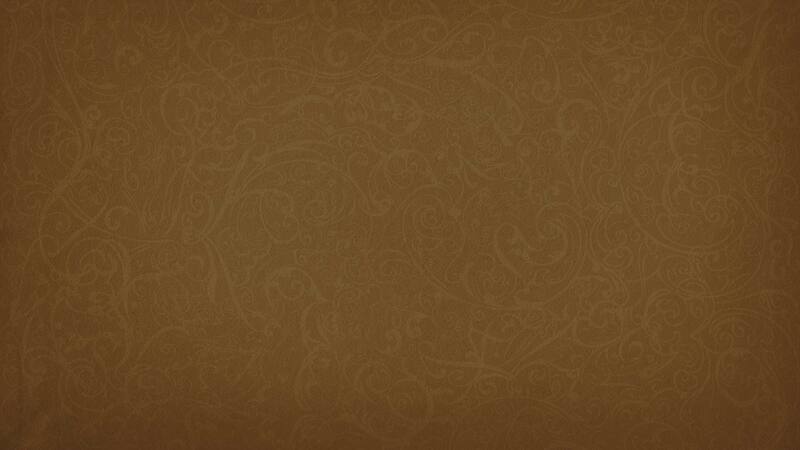 Confess your sins and accept God's forgiveness - daily restoring your relationship with Him. Do a Bible search for the words forgive and forgiveness using a Bible concordance or using biblegateway.com. Write a short note about each one on a slip of paper. Prepare a graphic organizer illustrating how you organize the paper slips. Plan to share what you discover with one or more friends and family members. Understanding restoration: I am learning that God has provided everything needed to restore me to His image. 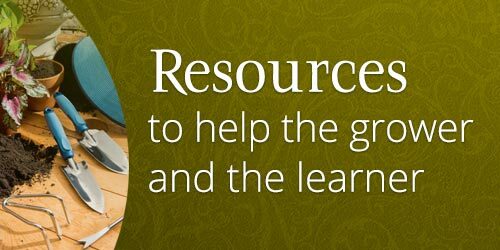 Search the Bible (or biblegateway.com) for stories that illustrate God's work of restoration or re-creation. Discover what Christ is doing in the heavenly sanctuary by studying the Bible with Christian friends or your pastor. Study what the Bible teaches about the meaning of life, death and resurrections. Memorize promises of hope like John 3:16, John 14:1-3, Jeremiah 29:11-13. Create a powerpoint, write an essay or prepare a sermon outline to explain the great controversy theme, specifically showing how it began and how it will end. Disciples grow by participating in God’s mission of revealing Himself and drawing us back to Him. Serving through personal vocation: I am sharing my faith through my daily activities. Begin 10 days in a row with a consecration prayer, something like this: "Jesus, again this morning I surrender all that I am and have to you. Give me the strength of character to humbly do what is right even when it is tough. Transform me to truly reflect your love wherever I am. Thank you for taking away my doubts and fears, for caring for all my needs. Help me to trust and obey you all day." Choose to do whatever you do anytime of day or night as if Jesus was your teacher or work supervisor, right with you. Invite Jesus to be with you in all you think, do and say. Then choose to be a friend to all, supporting and sharing in their joys and sorrows, helping humbly and cheerfully wherever you can. Enjoy the adventure of friendship with whomever God brings into your life. Consider seriously a request to serve others. Ask God to help you be flexible, willing to try new opportunities to grow through serving as God leads in your daily life encounters. Serving through discipling others: I am helping others grow more like Jesus. Encourage friends to join you in learning more about knowing, loving, and serving God. Be willing to humbly share the story of your life as a Christian. For example, simply share how you've felt God's presence even when you've made poor choices; honestly tell how you deal with specific challenges with God's help; explain what guides your choices as a growing disciple; describe what joy and peace loving God gives in today's restless and secular world. Commit to helping those younger than you grow spiritually. Help an individual or volunteer with a ministry that could use your spiritual gifts, interests, and experience. When you've learned how to serve God in one way well, invite friends to join you, taking the time to train them in. Remember to pray with them, encourage them as they learn, and honestly thank them for helping. Serving in my community: I am responding to the needs of God’s children and His world. Pay attention to what your friends share with you. Listen with care. Help unselfishly. Rejoice over their personal victories in living God's way, however small. Offer to pray with and for them. Record the prayer request (write on a prayer list, save on cell/i-phone, etc. ), then check with your friend to update your prayer and to celebrate God's working. Look for ways to make your community a happier and safer place. Pay attention to requests for help from teachers, parents, family members and neighbors. Ask God to help you serve humbly and cheerfully even when it means giving up free time. Invite friends to join you in helping someone without accepting any reward or pay. Try picking up litter around a store or park, cleaning an elderly neighbor's yard or car, taking care of a neighbor's young kids, staying after school to help your teacher/principal do a project of their choice, make cheerful cards and write encouraging notes to a sick friend, church member or neighbor, take care of someone's pet while they're on vacation, etc. Speak out when someone is treated unfairly at school and report the facts promptly to your teacher or principal; help with a fundraiser/awareness program for a social cause; tell a mature Christian about a problem in your neighborhood and invite him/her to help you solve it or join a group or petition to make a difference. As a steward of God's creation: reuse and/or recycle paper and plastics, conserve water, buy products made of recycled items, choose energy sources such as wind and solar rather than non-renewable fuels, and try to repair items before discarding - use less, waste less. Go out of your way to include classmates who are shunned or ignored in your daily activities, introducing them to your friends. Act compassionately on behalf of people who are disadvantaged or at-risk, even when this is hard to do alone. Serving through stewardship: I am supporting my church’s ministries with personal resources. Choose to dedicate all you are and have to God, using your resources only as He leads you. Recognize that the greatest gift is Jesus, and his kingdom is built on the cycle of receiving to give. Faithfully give one tenth of your increase (pay and gifts) to God as tithe. Give more as offerings to your church's ministry, missions and other community service projects, as God prompts you. Serve in one or more ministries in your local church - you're never too young to help! Participate in projects or ministries beyond your local community in ways that use your interest and experience. Pray for those you cannot help in any other way; share time and talents at a distance when you cannot travel; grow new friendships with others you work alongside with for a common cause. Serving through evangelism: I am helping my church tell the story of Jesus. Pray for the Holy Spirit to prepare you to reach others for Christ. Choose to become aware of the spiritual needs of friends and others around you. Use your spiritual gifts to help tell the world the story of Jesus. Be willing and prepared to give a reason for your faith when asked. Share your personal faith story, your spiritual journey, with friends, family, co-workers, etc. as God prompts you. Christians grow by discipling one another in the processes of connecting, understanding & ministering. Walking alongside one another to support, nurture, and strengthen in love. BD: Attend a class/seminar on how to be a peacemaker, or handle conflict God's way. DO: Discuss how to handle tough life issues God's way with a group of Christian friends. BD: Live a balanced life, including daily exercise in the sunshine preferably, healthy food, plenty of water, fresh air, rest, moderate choices and trust in God. Be accountable to a friend. DO: Pray for one person. If they know you're praying for them, offer to pray for what they share with you, in praise or needs. BD: Ask someone to pray with you about one aspect of your life. Learning together how to deepen our relationship with God. DO: Discuss what God is like with a friend. Listen more than speak. BD: Check in with a friend each day to share a spiritual experience from your devotional time that day (not last week). BD: Interview or read the stories of mature Christians. Find what they did in personal devotional times. Choose one devotional idea to try on your own for a week. Journal how well this helped you experience God. Then try other suggestions, focusing on one per week. Finally, review your journals/notes on each method, and choose to continue those that worked best for you. Teaching one another to study God's Word and to live in obedience to its teachings. DO: Invite Christian friends to listen to or read one book of the Bible each week. Together, discuss the picture of God in that book. BD: Ask several mature Christians, or research ways to study the Bible. DO: Encourage a Christian you know well to think about how they are applying biblical principles in their daily activities. Discuss ways to extend examples given. BD/DO: Join a Bible study group to learn different ways of studying the Bible. BD: Subscribe to a daily devotional email or text message. Read or listen to it as you go to school or work each day. BD: Choose to consult more than one soure of information before deciding to believe a spiritual truth presented in any format. Discuss conflicting points with a mature Christian; together prayerfully and humbly seek to discern spiritual truth in a balanced manner. Holding one another accountable for growing toward wholeness in Christ. BD: Ask several mature Christians, "What is distinctive about living as a Christian?" Act on what you learn. BD: Read a biography about a Christian giant. Reflect on what made them great. DO: Invite a friend to join you in doing a kind deed that reflects God's love through healthy choices. DO: Read or attend a seminar on improving listening skills. Practice listening skills when visiting a friend you believe is a good listener. Ask for their advice on listening well. Knowing and doing God’s will: Growing disciples help one another discover God’s working in their lives and His world. DO: When you see a kind, unselfish, or gracious act, simply thank the person for letting God work through them. BD: Practice accepting complements gracefully with a friend, taking turns. Pay attention to what friends think you do well, and prayerfully consider how you could use these strengths to serve God. Discuss your reflections with a mature Christian friend. BD: Watch a mission report video with a group of friends. As a group, make a plan to help this mission project. You can always pray, send encouraging letters, raise funds, contact the missionaries for more information about how to volunteer your time to help them. Supporting one another in using spiritual gifts to fulfill God's mission. BD: Ask a Christian mentor or friend what spiritual gifts they think you have; share what you believe their gifts are. 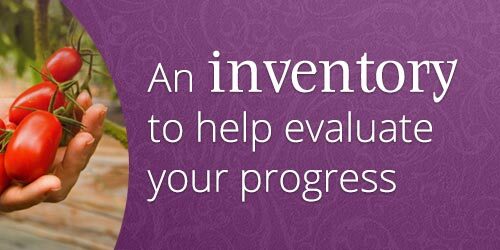 BD: Take a spiritual gifts inventory to identify which gifts you have; discuss results with a trusted Christian friend. BD: Discuss your talents, abilities, and character strengths with a trusted Christian and ask for suggestions on how to use them to help others grow spiritually. 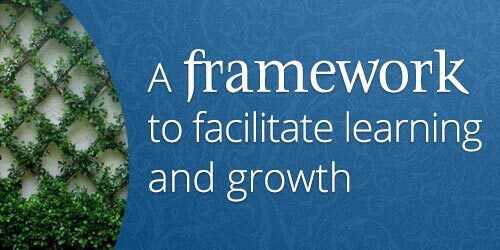 BD: Learn more about your church's ministries and which spiritual gifts are needed for each. Offer to help, using one or more of your gifts, talents or abilities. © 2010-2014 General Conference of Seventh-day Adventists. All rights reserved. Contact us.